My kids are very aware when a project is going on. They have witnessed first-hand the overwhelming love and support that has come to our doorstep. It has come in the form of handmade goodies from all around the world. They remember our house being overtaken by sock monkeys. The know the blessings that are shared worldwide. We, too, are blessed by the process. So, I tell Chloe that we are going to help children in Kenya. She then asks to see pictures of the kids and we spend about twenty minutes talking about the kids, talking about the adults in the pictures and she’s able to grasp her young mind around the fact that their lives are very different than ours. My other girls (Julia, 11 and Makena, 9) immediately chime in that they want to help. Julia says, ‘Will you teach us how to sew so we can help?’ Of course, my dear. I would be honored. I tell them ‘In fact I’ll teach you how to crochet so you can make a scarf.’ The girls are on board. They are already talking about yarn colors. Be the salt and the light. I am overwhelmingly honored and humbled to announce Project 25 :: We Are Kenya. We Are Kenya is an organization who believes that one way to change a society is to change the future of it’s youth. They are a nonprofit dedicated to feeding and educating sweet children in the slums of Soweto, Kenya. Soweto is the second largest slum in Kenya and home to We Are Kenya. Soweto is a large slum whose people daily struggle with sickness, crime, hunger, and hopelessness that results from severe poverty. In a slum where many children have one or no parent, the daily quest for food supersedes any hope for education. We Are Kenya partners with Provision Education Center to ensure that each student receives not only a hot meal, but also the tools necessary for proper education. Their goal is to see that each child not only has a chance to succeed, but is a success. The PEC, through its partnership with We Are Kenya, mobilizes community members to assist in feeding and educating the nearly 200 children enrolled. Each child receives breakfast and lunch and attends classes taught by university-trained teachers. For some, this is the only meal that he/she will eat on a given day. In addition to the school day, PEC provides shelter and care for several of the neediest children. Twenty children live at the PEC. Mother Theresa says, “We think sometimes that poverty is only being hungry, naked and homeless. The poverty of being unwanted, unloved and uncared for is the greatest poverty.” PEC seeks to fill the emotional and spiritual gaps for these children as well. They need 25 homemade twin size quilts. (Update 9/29/14: We have met our goal of people signed up for quilt donations. Thank you!!) These children are orphans or were living in vulnerable situations. They recently opened a new dorm for these girls and boys. It would be wonderful if they could snuggle to sleep under their own special twin sized quilts. You guys, I want to send them BEAUTIFUL handmade quilts. I know we have some incredibly talented quilters in our midst. I would love to be able to deliver the most perfect, full of love quilts that we can to We Are Kenya. If you are interested in making a quilt, I ask that you please email me to let me know. They don’t need 2,000 quilts so I’m going to limit it to the first 25 people who email me offering to make a quilt. I know the effort that goes into quilt making and I pray we get 25 beautiful quilts for them. Please email me at chikaustin@gmail.com if you would like to make a quilt for the children who live at the Provision Education Center. They need handmade stuffed animals. You guys are the best softie makers ever. I have seen some of the CUTEST stuffed animals come our way. They will take as many as you can make so let us overwhelm them with our love. They need handmade knitted/crochet hats, gloves, and scarves. Approximately 200 to be exact for kids ages 4-15. Winters get cold at night and we need to keep these sweet kids bundled up. Sewn hats and scarves are also welcome. Finally, they need homemade reusable sanitary napkins. These would allow girls to continue their education. Many girls are forced to stop their education because their families cannot afford sanitary napkins once they start their monthly. This is so heartbreaking. These are made with flannel and terry cloth. There are many tutorials online. Karen, from We Are Kenya, and her family have graciously offered to collect and coordinate delivery of all of the items. Thank you Karen! Thank you for contacting me and giving us this opportunity to help you guys. 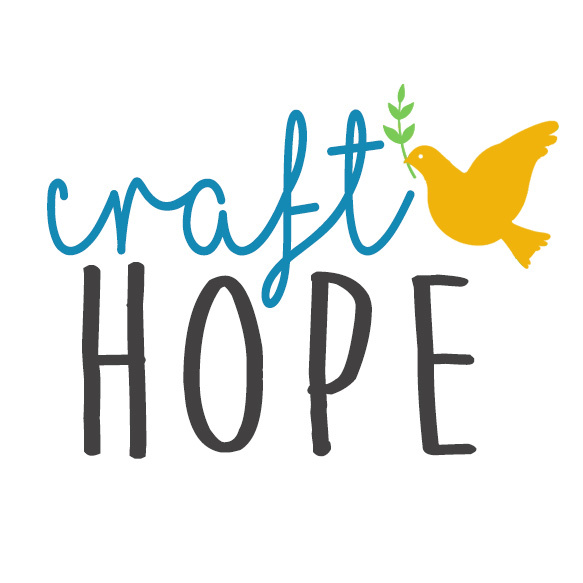 We whole-heartedly accept and hope to fill your suitcases full of handmade love. Friends, the deadline for this project will be November 15, 2014. Please try to have all of your handmade items to them by this date.